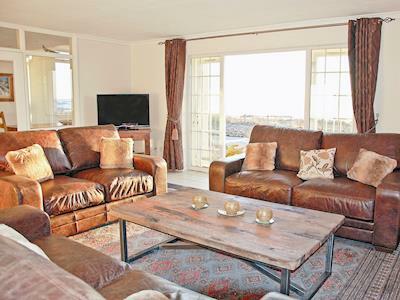 Situated on its own, right on the shoreline, enjoying panoramic views of the seascape this unique detached house offers an exceptionally good standard of holiday accommodation throughout. 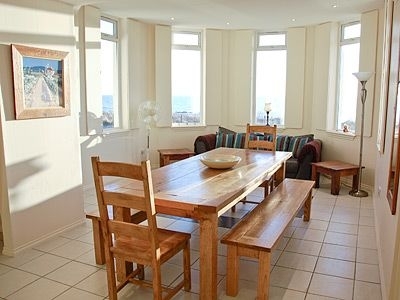 The living room and large kitchen/dining room look out across the bay. 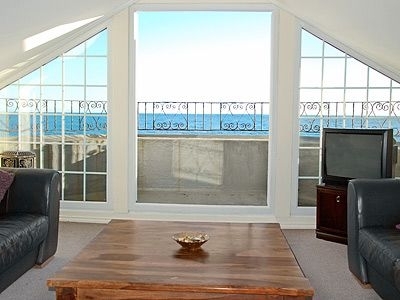 A second living room upstairs is built in the form of an ’observatory’, complete with balcony from which to spot the wide variety of bird and sea-life. Miles of shoreline walks are accessed directly from the property. The unspoilt fishing village of Helmsdale has a harbour and restaurants and shops. The area is renowned for its unspoilt beaches, wild and rugged coastline and traditional villages. Fossils are regularly found along this particular stretch of coast. Travel north to visit the Castle of Mey, John O’ Groats and the Orkney Isles. Golf, fishing, cycling, hill-walking, surfing and pony trekking all available locally. Try panning for gold in the Helmsdale river and visit the fairytale castle of Dunrobin. Shops, pub and restaurant 500 yards. Ground floor: Living room with patio door. Dining room/kitchen. 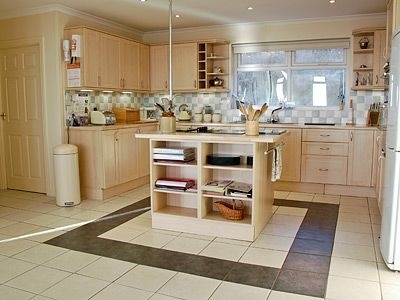 5 bedrooms: 3 double, one (5ft) with patio door and en-suite shower room with toilet, 2 twin. 2 bathrooms both with bath, shower cubicle and toilet (one with corner bath). Tiled floors throughout. First floor: Second living room. Games room. 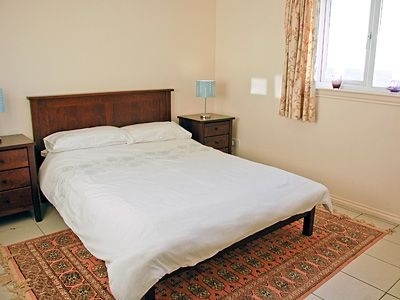 Underfloor CH, elec, bed linen and towels included. Travel Cot. Highchair. Freeview TV. DVD and small library. CD. iPod dock. Electric Cooker. Microwave. Washing Machine. T/dryer. Dishwasher. Fridge Freezer. Wi-fi. Garden with terrace and furniture. Ample parking. 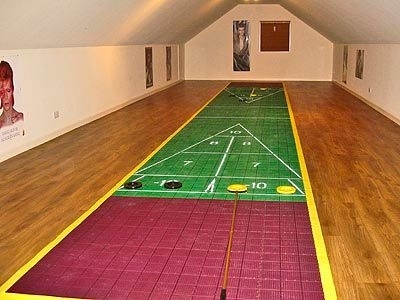 Games room with 45ft shuffleboard court. 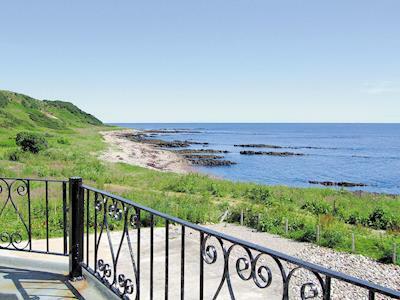 Note: The garden goes directly onto rocky beach and seashore. This somewhat iconic Highland restaurant is famed for its fish and chips and its ability to attract celebrities! They serve lunches, evening meals and Scottish high teas. The Oystercatcher is a small seafood restaurant with themed décor and an intimate and quiet ambiance. Its speciality is locally caught shellfish, served to traditional recipes in its own unique style. With its stunning views across the sea loch, there can be no better place to unwind with a good malt whilst watching the sunset! The Caberfeidh is one of just a few restaurants located in the picturesque fishing village of Lochinver in the north-west Highlands. This award winning restaurant was the first to introduce a chef's table, situated in the kitchen, where parties of four or six can enjoy the stunning 'tasting' menu, while watching the head chef and team at work! The chic piano bar boasts a huge list of malt whiskies. Set amidst stunning countryside, this new restaurant uses locally sourced foods to create simple, wholesome and traditional dishes for all the family to enjoy in warm and friendly surroundings. 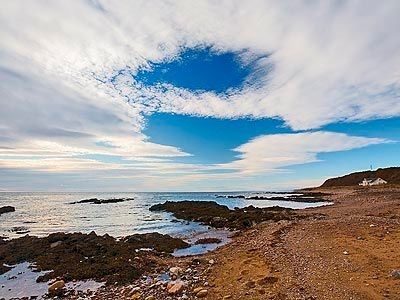 Located on the Dornoch Firth, and awarded for its status as a clean bathing beach, Dornoch's long expanse of golden sands reach from Dornoch point, past Embo Beach to the mouth of Loch Fleet National Nature Reserve. Keep your eyes peeled for some local wildlife in the adjacent Site of Special Scientific Interest. Fish for Atlantic salmon! In a beautiful setting, this impressive river has quite the reputation as a prolific source for these fish and you never know who you could bump into along the banks! 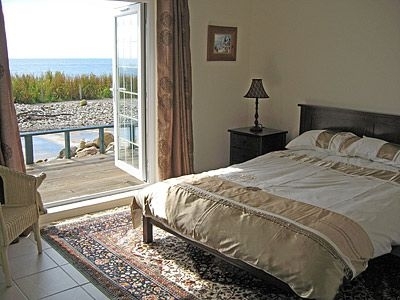 This course is ideally situated overlooking Kindtradlwell Bay and with the Sutherland Hill as its backdrop. There is even a railway which comes into play from the tenth tee. Choose from a simple round of golf to a selection of packages that include food. 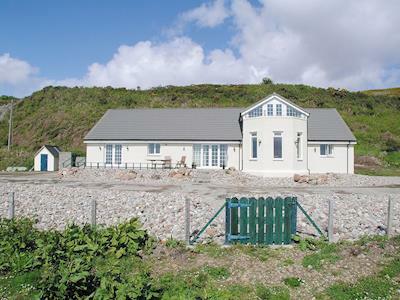 This 25m swimming pool complex situated in the town of Golspei is also within easy reach of Brora, Dornoch, Rogart and Lairg. 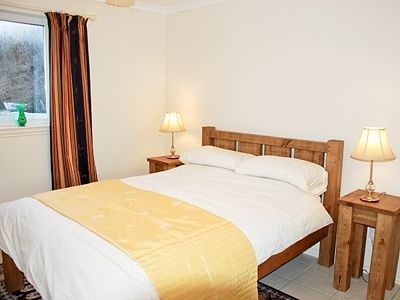 Facilities include a steam room, sauna and fitness suite. This easy walking course set at the foot of the Ben Bhraggie in the Highlands of Scotland is a fine setting for a round of golf. Its clubhouse serves a range of food and drink overlooking the 18th green. Locker and changing facilities are also available. This championship links golf course was designed by Tom Morris and has been a royal club for over 100 years now. There is a bar that serves food between 11am-9pm and a pro golf shop too. This traditional Scottish Highland links course was designed by Tom Morris in 1890. The sheltered location of the course ensures favourable weather for most of the year - winter greens are seldom used at Tain. Wildlife trail and guided walks through extensive peatlands, home to a wide variety of flora and fauna. There's also audio visual and live hen harrier nestwatch/webcam and activities for children (and a tearoom nearby). A great exhibition depicting the lives of local people, their culture and the abundant wildlife in the area. Take a nature walk whilst your there and keep your eyes peeled for pine martens and black-throated divers. One of the foremost attractions in the Highlands, set next to the famous Falls of Shin. See some Atlantic Salmon leaping around the falls, attempting to get to their breeding grounds. Visit the gift shop and children's playground whilst there. See Malt Whisky production and taste the finished product. Left of main A9 1 mile north of Brora, signposted. A geological centre comprising a large exhibition of minerals and local rocks, workshops with extensive stone working machinery and a shop specialising in minerals and stone goods. At the Visitor centre at Lybster Harbour you can watch birds nesting on the Caithness cliffs through remote CCTV. There are interactive displays, helpful graphics and sculptures and a boat building workshop. Half a mile north of Tain on the A9, in a tranquil glen overlooking the Dornoch Firth, lies the home of Glenmorangie Single Highland Malt Scotch Whisky. Enjoy the museum, shop and guided tours — opening hours are generous but please phone to book. Britain's most exciting new glass studio workshop is not a demonstration studio but visitors are welcome to view the glassblowing process when it is taking place or by prior arrangement. This award-winning museum provides access to exhibitions, heritage, arts and learning activities throughout the year for young and old alike. Be sure to experience the storytelling room, a novel concept that involves a real-life story teller. Spend the day with the whole family at this great heritage centre. The interactive facilities and interesting exhibits are fun for children and are perfect for teaching the local history of this lovely area. There's a lot to interest here — audiovisual programme of the past environment, photographic family archives, reference research library, bookshop, historic buildings, harbour, a picnic area and the strath walk, and the birthplace of Neil M Gunn. The name of this Scottish Broch (building) means "The Grey Cairn" and has walls that still stand 12 feet high in places. The entrance passage and lintled doorway are well preserved. An excavation in 1986 found a bronze age burial on the site, complete with grave goods. Take a journey through time and learn the history of one of Scotland's oldest clans; the Norse origins and Scottish history of the time. There is also a fantastic clan archive to teach you all there is to know! This museum tells the story of Dornoch parish from pre history to present time, with permanent displays and changing exhibitions. Learn about witch trials and violent Viking raids. Tain Through Time tells the story of Tains St Duthac and pilgrimage to his shrine. It includes the award winning local museum, sound and light show, cd tour of town, children's activities and a shop. 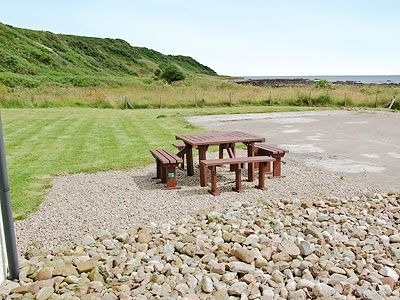 Burghead Visitor Centre is the round white building with a flagpole on Burghead Headland, which itself was the site of the largest Pictish fortification in Scotland. External interpretation panels give information on the fort, Burghead Well and St Aethans graveyard.